Monday – Friday 8:30am – 4:30pm. Evening hours and Weekend hours may also be available. At Yeh Facial Plastic Surgery we accept Visa, MasterCard, AMEX, Discover, Cash and Check. Our office accepts most major PPO and POS plans as well as Medicare for functional reconstructive surgery. Call for details. 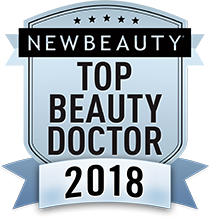 This is an opportunity for you to meet Dr. Yeh and his staff, tour the plastic surgery office in Orange County and receive specific answers about your cosmetic procedure needs. At your visit, we will also provide a cosmetic quote for your requested procedures. This comprehensive consultation typically takes 1 hour. Dr. Yeh performs an in-depth facial analysis and will educate you about your particular anatomy and available treatment options. Photo-imaging is included. Our practice is dedicated to maintaining the privacy of your individually identifiable health information (IIHI) as required by the Privacy Regulations created as a result of the Health Insurance Portability and Accountability Act of 1996 (HIPAA). In conducting our business, we will create records regarding you and the treatment/services we provide to you. We are required by law to maintain the confidentiality of health information that identifies you. We accept and agree to all state and federal laws relating to the confidentiality of information provided by our patients and agree that personal information supplied to us by non-patients will be treated in a confidential manner as well.